Mettoy, © 1981 (copyright on base), size C, rectangular window, slots for header card. Mettoy, © 1983, size A, tapering window with rounded corners, slots for header card. 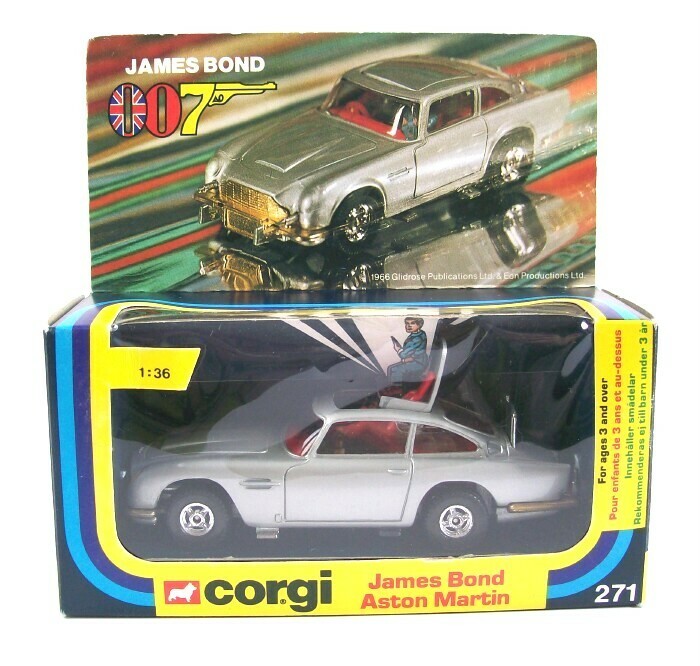 Corgi Toys, © 1983, size B, tapering window with rounded corners, no slots for header card, “Recycled plinth”. Corgi Toys Ltd, © 1984, size B, tapering window with sharp corners, no slots for header card, “Recycled plinth".